It’s a great book for vegetarian and vegan “beginners.” Emphasis on BEGINNERS. However, nothing is covered in very much depth. And most of the book is old news to those of us who’ve been vegetarian/vegan for awhile – we know what foie gras is, we know the dairy industry has a direct link to the veal industry, we know that a vegetarian and ultimately a vegan diet has many positive health benefits. What concerns me is some of Victoria’s research is a little sloppy. She recommends the Olive Garden’s marinara sauce and “vegan minestrone”; according to Olive Garden’s allergen information, both contain dairy. (See my Olive Garden review.) Victoria also recommends the Ruby Tuesday veggie burger – “vegan if you order without cheese” – but their current veggie burger, which they’ve had for well over a year now, contains feta cheese mixed into the patty. Even the previous incarnations of Ruby Tuesday’s veggie burgers were served with mayonnaise, AND if you flip open the bun you will see a lovely golden color which means it was toasted with butter. Also touted is McDonald’s McVeggie Burger – common in the UK and India, but most definitely NOT the US! Her recommendations on cosmetics/personal care items are also cause for concern. First, she makes no distinction between “not tested on animals” and “vegan” cosmetics – two completely different things. Many cosmetics not tested on animals still contain animal ingredients and, therefore, are not vegan. Second, several of the cosmetic companies she recommends – Avon, Estee Lauder – are indeed conducting poisoning tests on animals in China. The news caused a huge uproar in the veg world earlier this Spring and it’s a bit worrying that neither Victoria nor her editors at Penguin thought to remove them from the list. Overall? 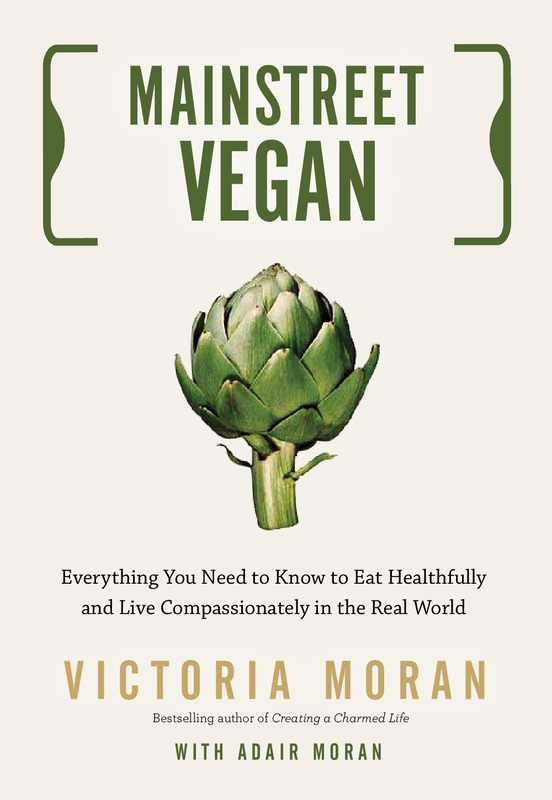 It’s a good book for beginners, or better yet, a great gift for your friend/relative/significant other that just doesn’t quite understand all this vegan stuff you’re into. If you’ve been veg for awhile, though, there’s nothing really new. Thanks for this book review! I really depend on information from books and blogs to keep up on what is and isn’t vegan. Since going vegan I have developed a semi-obsession with staying away from casein. I strongly believe the health concerns and the evils of dairy farming are obvious. If I had read this book and eaten at Ruby Tuesday’s based on that information I would have been more than a little upset to learn it contained dairy. Mistakes happen and I know it is difficult to keep up with everything. Maybe the lesson is to take what I read as a starting point to do a little more investigation on my own before I go out to eat. Hi, Debbie! Yes, it’s always a good idea to do a little investigation on your own before eating out because things do change. Very few restaurants mark their vegan items, but most of the larger chains DO post allergen information online, so one of my favorite tricks is to cross reference vegetarian items wtih the “dairy” and “egg” allergen lists.